Most of us including children feel that we can be our ” worst self at home”. Our family will always forgive us. Be reassured that you know your child feels safe and to express themselves fully at home. You may not be aware that your child may have processing difficulties or even dyslexia. Learning issues can be hard to assess andcan be overlooked in the education system. Your child may be working very hard to please the teacher and keep up with their peers. By the time they return home, they look for ways to relieve the tension. They may present with meltdowns that seem to come from a simple request from you. Have you ever noticed this? 4. They may have a disorder such as ADHD, Attachment or another Disorder. 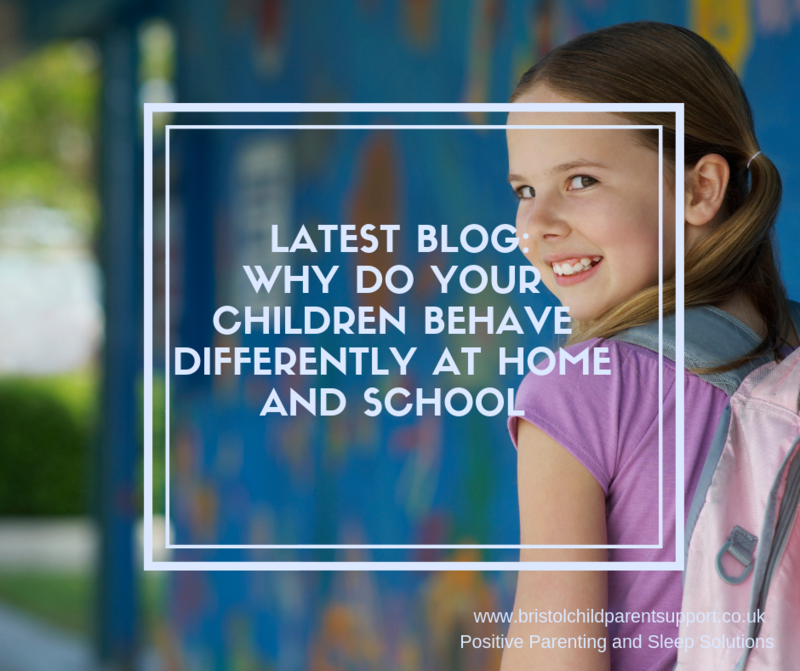 These are just a few ideas of the differences in how your child might behave differently at home and school. 1.Recognise and accept you may not be doing anything wrong, your child may have some underlying difficulty. It’s not your fault or theirs! 2. Start to talk to them about it, use non-threatening language and observations and feeling words. 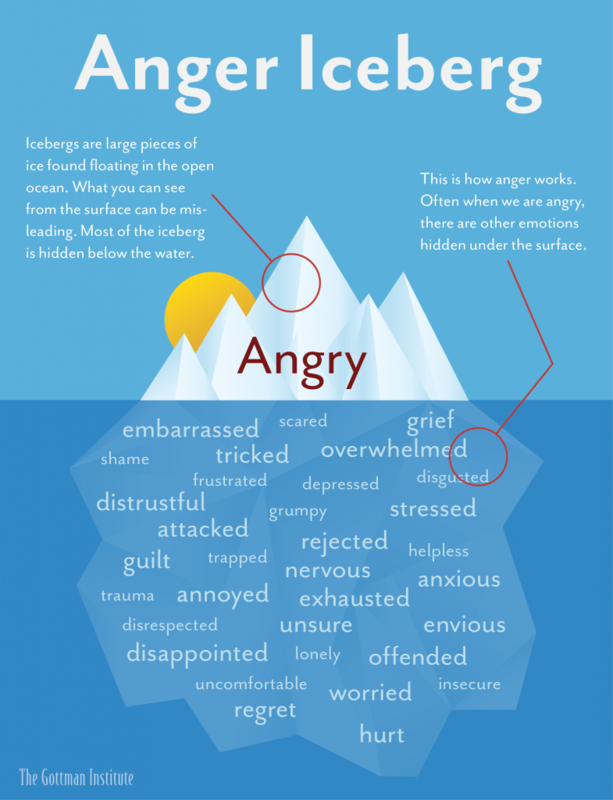 ( Ensure they know a wide range of feeling words) The Anger iceberg below has other feeling words. “I can understand why you might feel sad/angry because school was really hard today. This does not mean that you should not set limits if they are angry.All feelings are accepted but some behaviors are limited. 3. Allow a “calm moment ” when they return from school to home. Transitions are hard for many children especially ones who may suffer from anxiety. 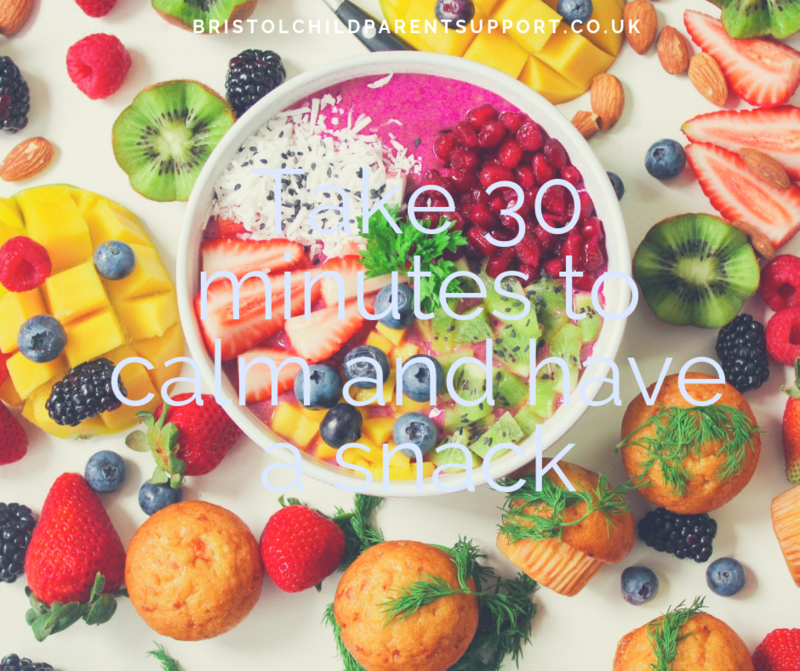 Let your children sit down for half an hour or more to eat a snack and just relax prior to any expectation. This will help their stress system to calm and may prevent a tantrum or meltdown. Of course, following the break, you continue to have expectations that they tcomplete homework etc. 4. Seek help from a Therapist, Educational Psychologist, GP or school Nurse. Following this, initiate a meeting at the school. Develop a home and school plan. This is called a systemic approach ( this means everyone working together with a consistent approach and plan) Ask questions on how they might manage the “behaviour“? Have they found strategies that work? Do you have strategies that may work in the school? With Love Catherine, hoping 2019 will be your greatest!